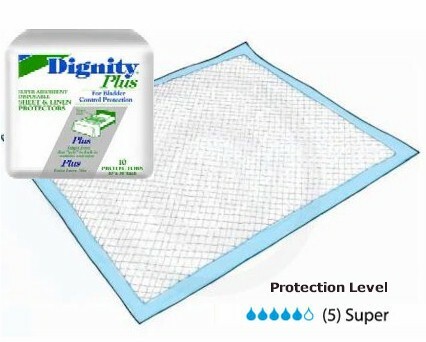 Dignity Plus Sheet & Linen Protectors feature a 12 inch “Target Zone” across the pad that "gels" when wet to lock in wetness and odor. 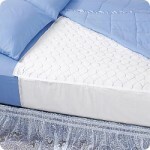 Simply place the protectors on the bed with the “Target Zone” in the appropriate area; when the sheet protector become wet, the “Target Zone” draws the wetness away for the skin. 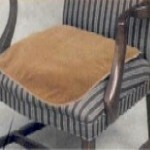 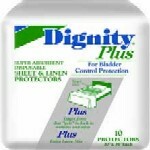 Premium Plus incontinence protectors are 30” x 36” each. 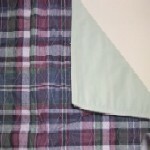 The extra large size enables the perfect size to keep your linens clean and dry. 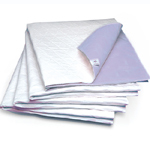 The pads are super absorbent and disposable.